Education plays an important role in challenging, combating and in understanding terrorism in its different forms, whether as counter-terrorism or as a form of human rights education. Just as education has played a significant role in the process of nation-building, so education also plays a strong role in the process of empire, globalization and resistance to global forces - and in terrorism, especially where it is linked to emergent statehood. 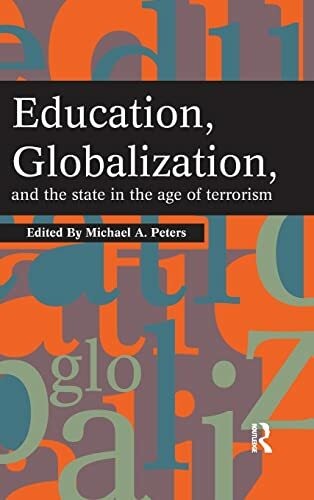 This book focuses on the theme of education in an age of terrorism, exploring the conflicts of globalization and global citizenship, feminism post-9/11, youth identities, citizenship and democracy in a culture of permanent war, and the relation between education and war, with a focus on the war against Iraq.